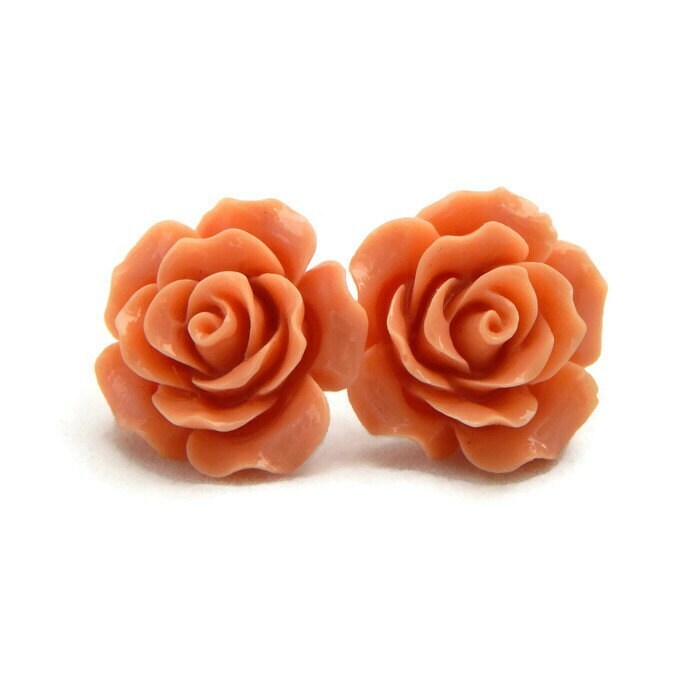 These coral rose earrings are large at 20mm and sure to get noticed. 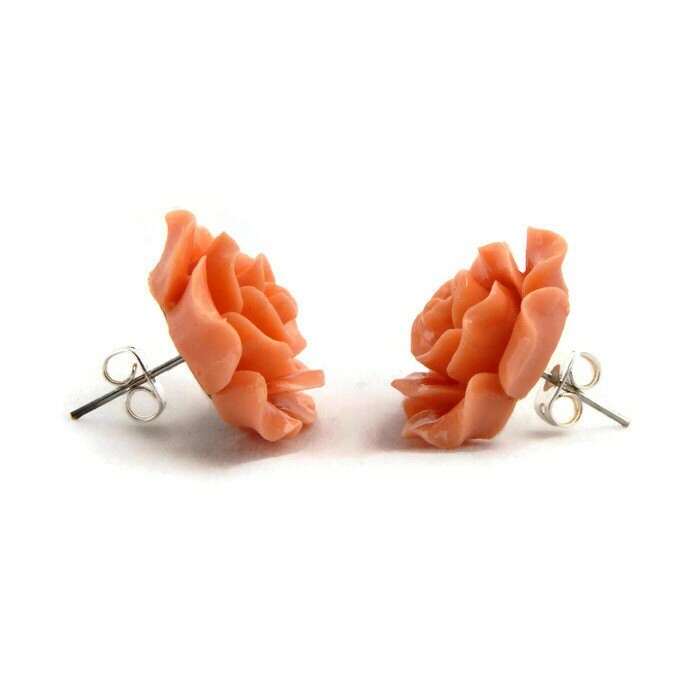 The vintage and feminine design makes these perfect for the pinup or rockabilly gal. 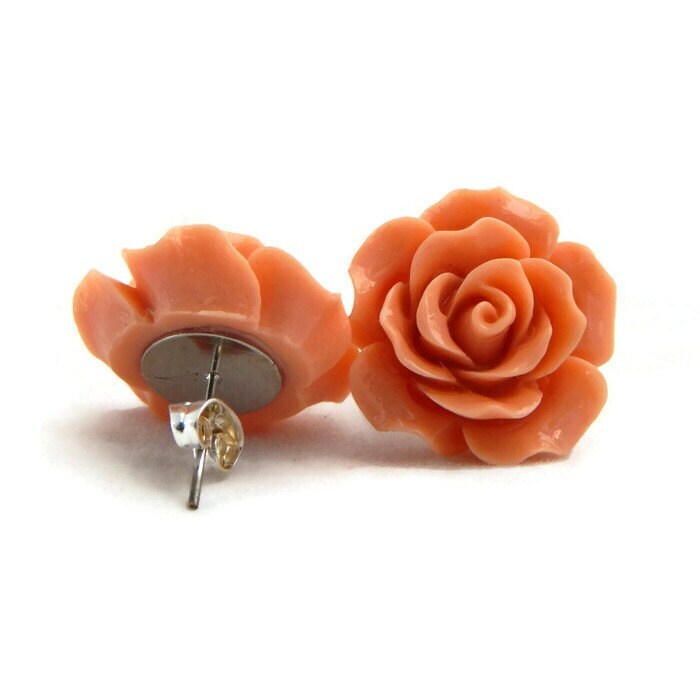 The rose is made of resin and secured to a nickel free stainless steel post. 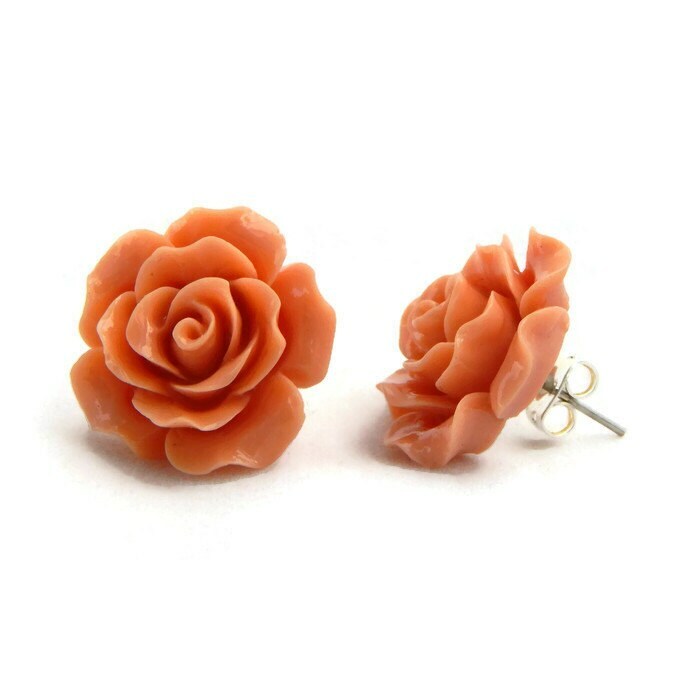 Not exactly the color I was hoping for, it's more of a peach than a coral, but still beautifully made.